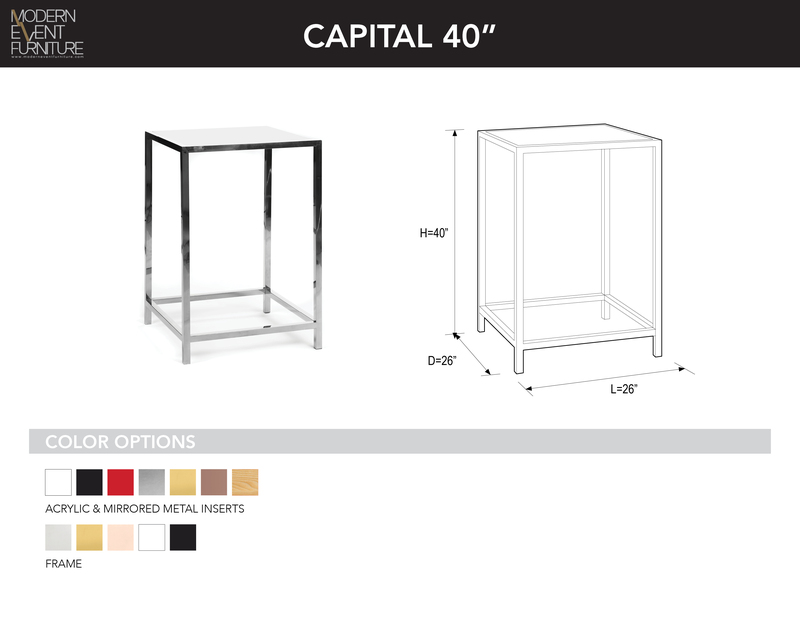 Capital - MEF Modern Event Furniture Inc.
Square cocktail cruiser with interchangeable top insert. Hand made, solid stainless steel that has been stamped and welded for optimum durability and strength. With mirror-like surfaces, this cruiser will add glamour to any event.